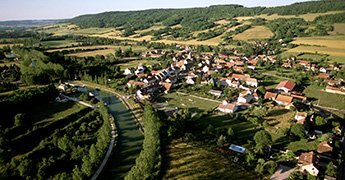 Slip away to the French countryside... a land of tranquil beauty shaped by legend and tradition, and mellowed by the patina of time. 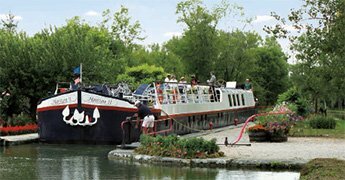 For over 30 years, American owned and operated, French Country Waterways has been cruising the canals and rivers of France. Truly unique voyages of discovery, our luxury hotel barge cruises provide one of the most relaxing and refreshing vacation experiences. Enjoy six all-inclusive nights in total luxury. Dine on world-class, gourmet cuisine and savor our exclusive wines - many from Grand Cru and Premier Cru vineyards. Visit historic châteaux, medieval villages, and world-famous vineyards. Or, relax on deck with a fine wine in hand while the beautiful French countryside slowly unfolds before you. 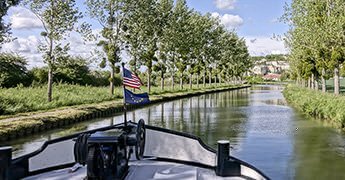 Whichever you choose, cruising on a French Country Waterways luxury barge allows you to gain a rare, insider's perspective of provincial France.